The Pattern Cutting & Construction part-time course is in full swing and we want to introduce you the nine students who are attending it. The first one is Pauline, who is studying to become a denim expert. Hello, Pauline. Can you please introduce yourself? My name is Pauline, I am 38 years old. Born and raised in Paris. Been living in Amsterdam for 2 and a half years. I am now having a professional break to invest in my skills and reach the next level of my career. Which are the best aspects of living in Amsterdam? Amsterdam offers an intense life, day and night! But at the same time it’s a very relaxed lifestyle, and a no stress city. I really like the mixed populations living here: it’s very rich in terms of cultures, art and human relations. I have 12 years’ experience in the fashion industry as Product Manager and my speciality is denim. I love this product because it has no limits in terms of creativity. I had the opportunity to work for sports brands and fashion brands such as Tommy Jeans here in Amsterdam. 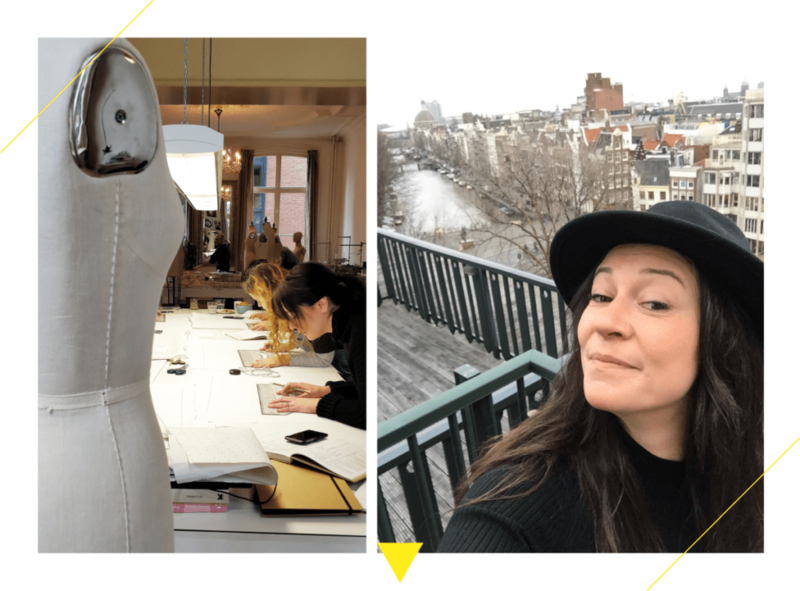 Which course are you attending at the Amsterdam Fashion Academy? I am attending the CAD (Illustrator & Photoshop) workshop series and the Pattern Cutting & Construction part-time course. Why did you choose these courses? I chose these two courses to become more technically advanced in garment construction and fitting, and also to be able to design my own denim styles. What’s the best part of these courses for you? Thanks to the CAD workshops I am now able to create my own designs, while I really like the manual work I’m doing at the Pattern Cutting & Construction part-time course. It’s so impressive to create something by hand. Which is the most challenging part of the course for you? The sewing is the most challenging part for me, as I had never really experienced sewing before. What do you expect from the course and afterwards? With these courses my goal is to become a denim expert and to offer a large panel of skills to clients, such as design and development & production, besides improving my skills in garment construction and fitting. Visit Pauline Pattier on LinkedIn.